Richard Shorty was born in Whitehorse, Yukon. He began drawing and painting at an early age. 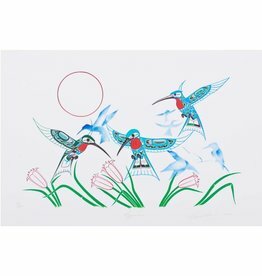 In the early 80's, he started developing his own style that mixes west coast design with realistic painting. 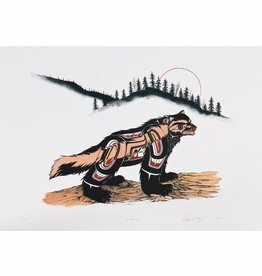 'Wolverine' Print by Richard Shorty (Northern Tutchone). 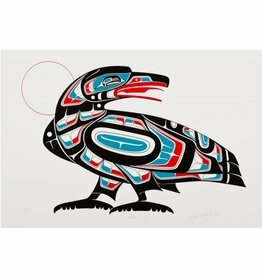 'Raven Trixter' Print by Richard Shorty. 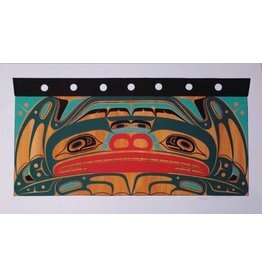 'Frog Box Design' Print by Richard Shorty (Northern Tutchone). 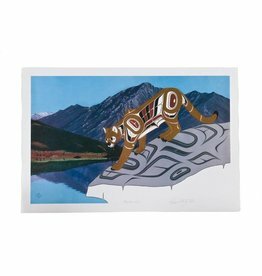 'Mountain Lion' Print by Richard Shorty (Northern Tutchone).